Cabinet Office minister Francis Maude has led the drive to change how technology is used across government, yet he has acknowledged that the IT used by staff in his own department is poor. It was reported that Maude had to install a personal Wi-Fi network to use his iPad, and chief operating officer Stephen Kelly uploaded a video of his PC taking seven minutes to boot up. But the Government Digital Service (GDS) – the team within the Cabinet Office tasked with transforming digital public services – has stepped in to help overhaul the department's IT. 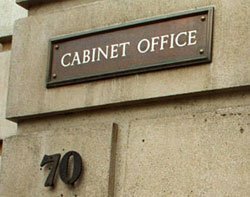 GDS is leading a technology transformation project for the Cabinet Office, which began in October 2013 and will conclude in January 2015. When GDS was set up in 2011, it chose not to use standard Cabinet Office IT systems, but deployed its own desktops and cloud services. The former interim director of digital and director of the G-Cloud programme, Chris Chant, said the cloud-based approach initially taken by GDS reduced costs by 80% compared with IT used elsewhere in the department. Andy Beale, common technology services lead in the office of the CTO at GDS, said the new project will save at least 25% on its current offering by introducing consumer technologies and cloud services to the 3,000 civil servants working at the Cabinet Office. According to Beale, some savings will be easy to make because of the technologies available to purchase today and because procurement methods have changed due to frameworks such as G-Cloud. But some parts of the project will potentially require more investment to unlock savings, and this will also mean the end of large-scale procurement. The history of spending on government IT saw five-year cycles of large-scale contracts. “This is the last time we’ll be doing anything like this – every day, every week there will be incremental improvement. While the project runs to January 2015, that’s the transition project, the project to make IT better at the Cabinet Office will go on after that,” he said. The decision to transform Cabinet Office IT coincides with the conclusion of an existing Fujitsu Flex contract. This comes to an end in January 2015 – by which time GDS hopes to have implemented a completely new way of working with IT without the ties of a huge supplier contract. Beale said GDS wants to make the Cabinet Office project an exemplar to deliver good business outcomes and IT across government, while saving a lot of money. He also said there will be other projects in the pipeline over the next year as GDS is also in very early talks with another department and some agencies to begin similar transformation programmes. “So we’re giving IT confidence back, and the freedom to provide the IT they want to provide,” said Beale. GDS intends to conduct early stage tests – alphas and betas – over the coming year, trying out everything available including consumer IT and cloud. “These sorts of things create a much better user experience for everyone,” he said. Since the project began, new devices and applications have been placed in the hands of 50 people working at the Cabinet Office. These include Android, Mac and Windows 8.1, along with cloud-based email tools. The alpha phase of the project, which comes to an end on 31 January 2014, is just the first step in the transformational change of Cabinet Office IT. In November last year, Parliament and the Rewired State Organisation organised a hackathon to encourage developers to code applications using Parliamentary data. Developers spent 48 hours hacking away and came up with 18 products. Director of Parliamentary ICT Joan Miller looked through these and chose some to investigate further. While some applications were gaming products, others were more interesting to Miller as they used Parliamentary data and managed to join up some of the information for its electronic business papers, including chamber papers, Hansard, electronic petitions, Parliamentary questions and early-day motions. “That would be extremely interesting, not just for the public, but also for our members and more professional users of parliamentary data,” she said. Miller said one of the developers managed to take a whole paper and automate the huge amount of text into the context of a particular topic that a member of the public may be interested in. Beale pointed out that the project wanted to start “naturally” with things people could see and touch, rather than applications and software. “People are interested in engaging with devices because of what’s happened with the consumerisation of IT,” he said. It is this explosion of consumer technologies in recent years that Beale believes has changed how enterprise will use IT. GDS has also brought in researchers to analyse the behaviours of the alpha subjects through interviews and observation. This research has been shared throughout the Cabinet Office for everyone to read, and there are many commonalities in the data. But the project has not been designed as a one-off upgrade. “We’ve created something that’s able to flex and evolve,” said Beale. While the consumerisation of IT has meant that the project has begun by looking at hardware, next on the agenda is software. GDS is also working on a potential open source desktop solution using Ubuntu instead of Windows. 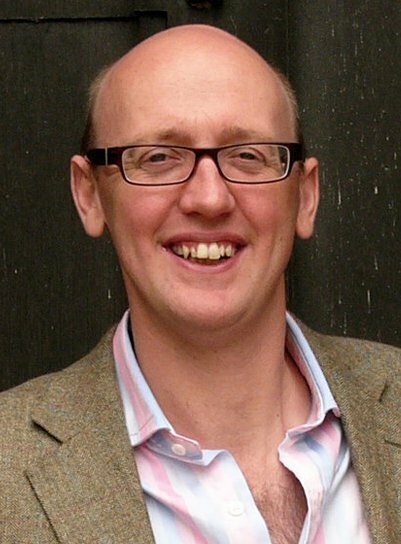 While in his previous role as technology director at the Guardian, Beale introduced Google Apps and trialled Chromebooks within the organisation. He said more IT departments are taking an interest in open source today, with other government departments apart from the Cabinet Office seeking out solutions. GDS is proactively helping to make this style of working happen. Beale said the reaction from the civil servants working in the Cabinet Office has been “incredibly positive”, pointing out that GDS is not taking away the IT, only enabling employees to become more proactive and successful. Some civil servants who are currently part of the alpha project have even been writing blog posts about their experiences for anyone to read online. Indeed, blogging is one of the ways GDS wanted to make sure the Cabinet Office was being as transparent as possible throughout the process. He said GDS has already received a great deal of support and interest from other technology leaders around their transparency principles, adding that IT managers have been constrained in the past and this has led to fear, uncertainty and doubt surrounding procurement and security. But Beale is worried about meeting the expectations of these projects. Following success from projects such as Gov.uk, expectations about GDS and the digital by default strategy have become higher.